We are selling 8 Beyblades, 2 of them light up. As you can tell they are not happy about this! 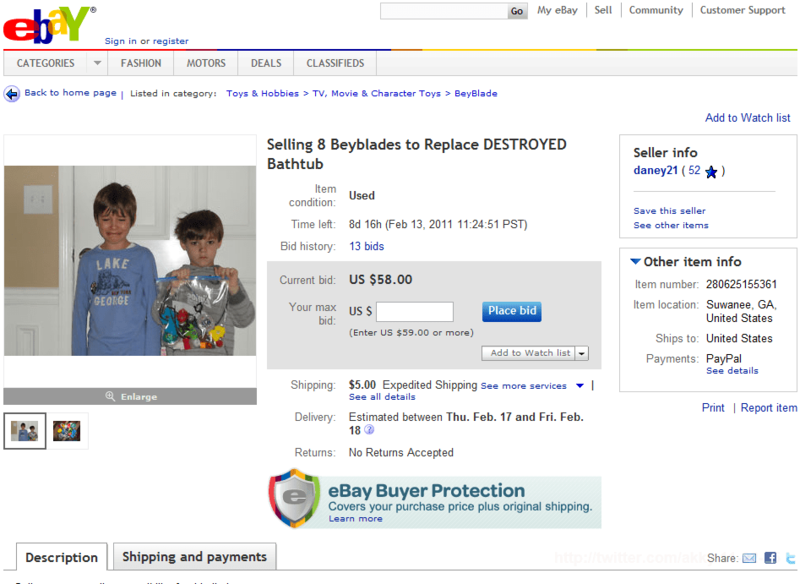 They have been using their bathtub as a “battle arena” and Beyblades + Bathtub = Destruction!!! With the metal ones they managed to scrape the enamel off the tub, take a chunk of tub out and break off the soap holder. SO if you “win” this auction DON’T play with in a bathtub!!! We have recieved a quote of $500.00 to replace the tub, some tiles, and soap holder + labor of course! 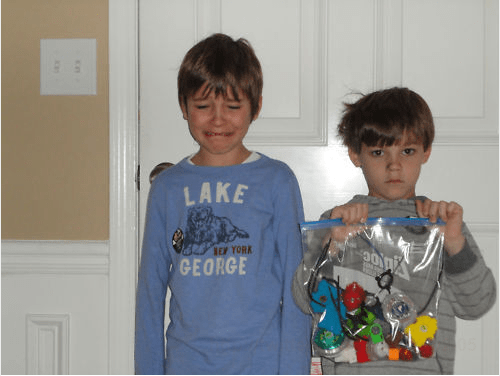 They had approxamently $125.67 in their piggy banks that will be going to toward the cost. We will use the profit from this auction towards the balance and then it is onto other toys!